You can help too, visit http://shop.ebay.com/merchant/fulbright06 and see what you can buy! Once again spring is here and with it comes a new batch of abandoned kitties. 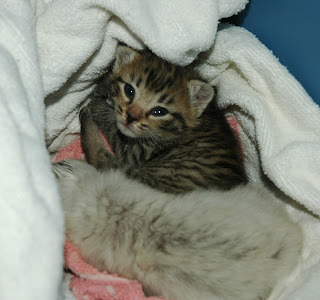 I am fostering these two and have found permanent homes for them when they are old enough. It is so sad that every year so many cats and dogs are destroyed because of the carelessness of humans. Well these two will not be having any babies of their own.